Plenty of NHL executives would indeed tell you now that the perfectly ordinary performance of the New York Rangers defenseman this season has hardly been surprising – that No. 22, despite his big payday before last season, was never going to come close to fulfilling that contract that’s well on its way to evoking some serious buyers’ regret. Shattenkirk hasn’t been bad – he just hasn’t been a difference-maker. Accepting a four-year, $26.6 million free-agent deal July 1, 2017, the New Rochelle native was thrilled to join the team he rooted for as a kid, spurning the chance to sign with other teams that certainly were willing to give him significantly more years and dollars. That feel-good story – a professional athlete who actually walked the walk when it came to the ridiculous platitude of “it’s not about the money” – completely obscured a key point that NHL personnel people had known for years: Shattenkirk, who is being paid along the lines of a top-pair defenseman, isn’t one. In fact, he might not even be a clear second-pair defenseman. Shattenkirk’s disappointing season took another dip in Monday’s 6-3 road loss to the Tampa Bay Lightning, as he suffered a separated shoulder on a hit into the boards by former teammate J.T. Miller and will miss two to four weeks. Shattenkirk, however, had hardly been a significant presence before the injury. With one goal, seven assists and a high-profile October benching from coach David Quinn in 29 games, Shattenkirk’s January 2018 knee surgery could no longer be blamed for his struggles. Limited to 46 mostly ineffective games in 2017-18 due to the torn meniscus he incurred in the preseason, the veteran had been healthy this season. Perhaps it’s too soon to make a fully accurate assessment of whether last season’s injury has permanently robbed him of some explosiveness, but some not-so-subtle assessments were offered on the eve of his free agency – well before he got hurt. They went something like this: Shattenkirk is an offense-first player who can thrive in that role if protected by stronger defenseman around him. Shattenkirk certainly had that during his seven seasons with the St. Louis Blues, who boasted Alex Pietrangelo, Colton Parayko and Jay Bouwmeester as running mates on the blue line. 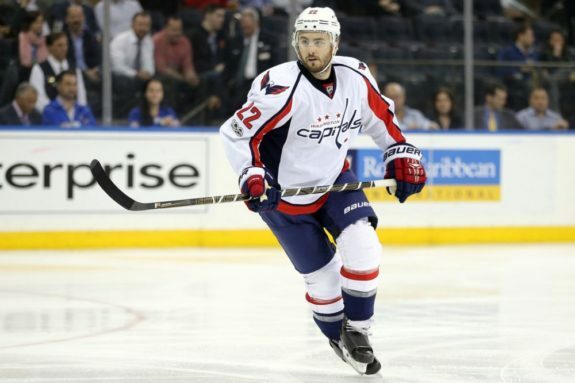 Perhaps the trade of Shattenkirk to the Washington Capitals at the 2017 deadline should have set off more alarm bells for prospective suitors that summer. Playing for a powerful Caps squad that won the Presidents’ Trophy with 118 points and was gearing up for a run at the Stanley Cup, Shattenkirk’s impact was largely negligible. He recorded 14 points in 19 regular-season games, but had just six points and a minus-four rating in 13 playoff contests as Washington lost in seven games to the eventual Stanley Cup champion Pittsburgh Penguins. Shattenkirk turned out not to be the missing piece to a Capitals championship that season. What is probably also obvious by now is that he isn’t a top-pair matchup defenseman. It probably should have been apparent at the outset of last season, when the much-hyped top pairing of Shattenkirk and former Rangers captain Ryan McDonagh collapsed just a handful of games in, a stunning disaster from the beginning. Like the Blues, the Rangers don’t use him in that role now. Marc Staal and resplendent young right-sider Neal Pionk have earned top-pair honors for much of the season. The club’s other young right-handed defenseman, Anthony DeAngelo, has also been better than Shattenkirk. Unfortunately, it seems that little has changed since then. Though not to the same level as in St. Louis, right-sider Shattenkirk has benefited from having cover – both on the ice and in the media – from other players. Pionk’s rise from undrafted free agent to one of the league’s more promising young D-men, and DeAngelo finally starting to fulfill his considerable potential, have grabbed more of the attention from beat writers. While he’s been mostly fine in his own end, Shattenkirk has hardly been the power-play force of which he’s provided glimpses with the Rangers but nothing more. He had gone pointless in nine of 10 games before Monday, recording a minus-four rating in that span, and his game no longer seems to include the dynamic offensive ability and slick skating that earned him the big bucks. It wasn’t supposed to be this way. In Quinn, the Rangers brought in a head coach who has a long history with Shattenkirk and who seemed to have to best chance to get the most out of him. With a coach who knew his game and believed in him, and a young squad in need of veteran leadership, Shatty certainly seemed to be in position to finally burnish his reputation into that of an elite defenseman. It hasn’t happened. 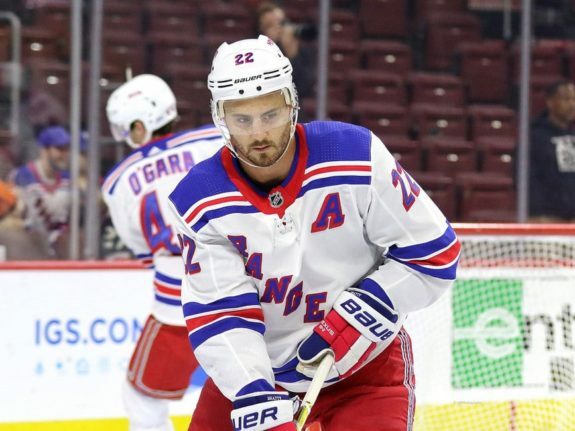 The development of Pionk and DeAngelo can be credited to the excellent leadership and teaching of Quinn – hired for just such a purpose – and the invaluable example set by the steady veteran Staal, not Shattenkirk, the offensive defenseman whose game more closely mirrors those of the two young players. 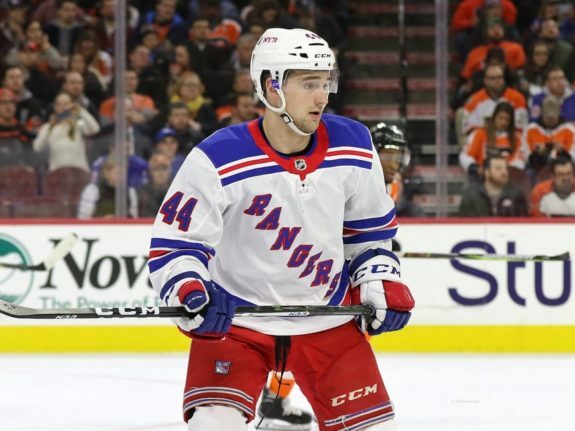 Pionk and DeAngelo, along with the rebuilding Rangers’ surprising 14-13-3 effort, has rendered Shattenkirk’s lack of impact almost completely unnoticed. That can almost be characterized as impressive given his annual $6.65 million cap hit for the next two seasons, ballyhooed homecoming before last season and presence on a team that plays in the media capital of the world. Has the pressure to perform for his favorite team has gotten in Shattenkirk’s way? Possibly. Given his history, though, it seems more likely that his failure to excel with the Rangers shouldn’t come as a shock. Shattenkirk isn’t a dominant player and at age 29 and with nine full seasons under his belt, probably won’t become one. The Rangers might have to hope at this point that he can rediscover enough of the game that resulted in five 40-point seasons and four 20-point seasons on the power play with the Blues, while coming to terms with the fact that the team’s highest-paid defenseman is, in essence, a specialist. If Shattenkirk can’t find it? Well, his contract, age and injuries likely mean that he’ll still get to live out his childhood dream for the rest of this season and the next two, wearing a Rangers sweater and playing at Madison Square Garden. He just might be doing it on the third defensive pairing – where some of the aforementioned personnel executives might say he was destined to end up all along.